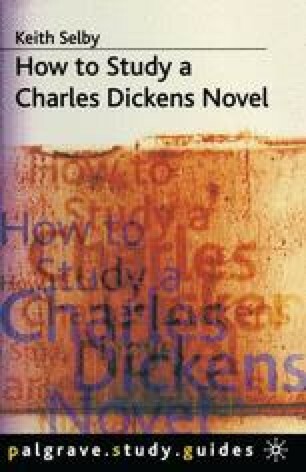 THE MAIN IDEA in this book is that the best way to approach a Dickens novel, or indeed any novel, is to try to see a pattern in the work as a whole and then to look at a number of passages, interpreting them in the light of the pattern you have detected. It is the simplicity of this approach that is so helpful when we are dealing with a novel as long and complicated as Dombey and Son. The place to start, as always, is with some thoughts about the pattern you can see in the plot.